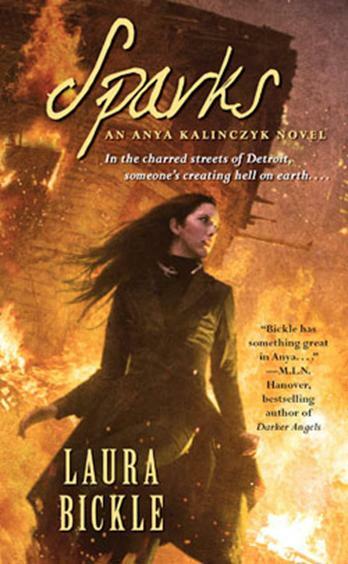 WITHOUT A TRACE Anya Kalinczyk is the rarest type of psychic medium, a Lantern, who holds down a day job as an arson investigator with the Detroit Fire Department--while working 24/7 to exterminate malicious spirits plaguing a city plagued by unemployment and despair. Along with her inseparable salamander familiar, Sparky, Anya has seen, and even survived, all manner of fiery hell--but her newest case sparks suspicions of a bizarre phenomenon that no one but her eccentric team of ghost hunters might believe: spontaneous human combustion. After fire consumes the home of elderly Jasper Bernard, Anya is stunned to discover his remains-- or, more precisely, the lack of them; even the fiercest fires leave some trace of their victims--and she is sure this was no naturally-occurring blaze. Soon she's unearthed a connection to a celebrity psychic who preys on Detroit's poor, promising miracles for money. But Hope Solomon wants more--she's collecting spirits, and in a frantic race against time, Anya will face down an evil adversary who threatens her fragile relationship with her lover, her beloved Sparky's freshly-hatched newts, and the wandering souls of the entire city.